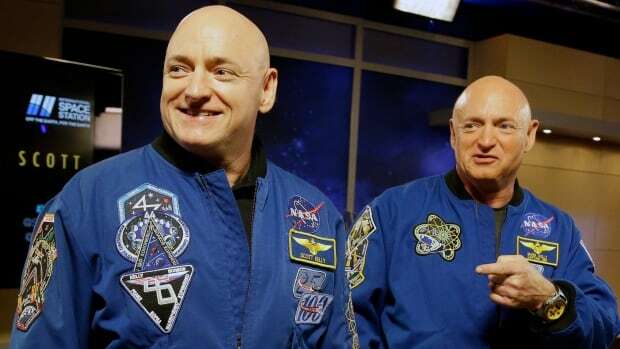 The good news: Kelly largely bounced back after returning home, say scientists who released final results from NASA’s twins study, a first opportunity to track the biological consequences of space flight in genetic doubles. More importantly, the study “represents more than one small step for mankind” by pointing out potential risks of longer-duration space flight that need study in more astronauts, said Markus Lobrich of Germany’s Darmstadt University and Penny Jeggo of the University of Sussex, who weren’t involved in the work. Possibly the weirdest finding had to do with telomeres, the protective ends of chromosomes. Those tips gradually shorten as we get older, and are thought to be linked to age-related diseases including some cancers. But in space, Scott Kelly’s telomeres got longer. “We were surprised,” said Colorado State University telomere expert Susan Bailey. She can’t explain it, although it doesn’t mean Kelly got younger. Back on Earth, his telomeres mostly returned to preflight average although he did have more short telomeres than before. He had some changes in the structure of Kelly’s eye and thickening of his retina suggested that, like about 40 per cent of astronauts, he experienced symptoms of “space flight-associated neuro-ocular syndrome.” It may be caused by fluids shifting in the absence of gravity. Studying one pair of twins can’t prove risks of space flight, researchers cautioned. And longer missions, to the moon or Mars, will mean greater stress and radiation exposure. “We need to get outside of low-Earth orbit, and we need for the astronauts to spend longer periods of time to really evaluate some of these health effects,” she said.